With elections looming and a conservative backlash sweeping the hemisphere, El Salvador’s governing left-wing party just ousted its most popular politician. On Oct. 10, the former leftist insurgency-turned-political party, the Farabundo Martí National Liberation Front (FMLN), celebrated the 37th anniversary of its founding as a guerilla army that launched a 12-year civil war against a U.S.-backed military dictatorship. 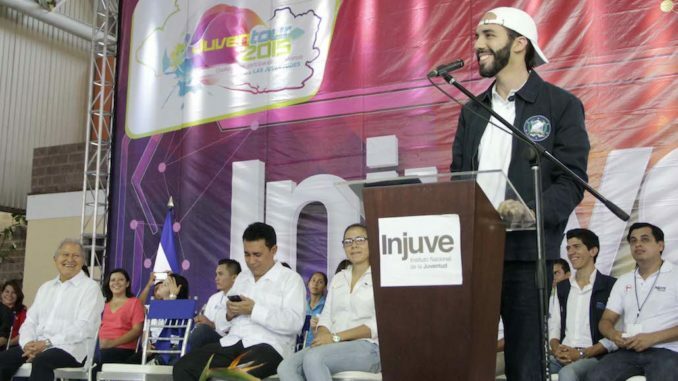 That day, Nayib Bukele, the ambitious young millionaire mayor of the capital city San Salvador, was ousted by the party’s Ethics Tribunal for making sexist remarks against an FMLN city councilwoman and engaging in divisive, “individualistic” behavior. Many Salvadorans, including in the diaspora, have decried the expulsion and rallied around the now-independent Bukele. In electoral terms, the FMLN’s decision was potentially catastrophic: Bukele was positioned to easily win a second term in the 2018 midterms and favored for the 2019 presidential elections; the FMLN must now face off with an emboldened right-wing opposition while its base is divided. 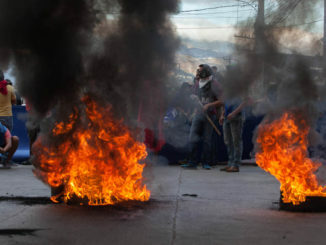 The ouster also reveals serious internal challenges for the FMLN, including a lack of younger cadres positioned to replace the party’s aging leadership and help foster a new generation of revolutionaries who did not experience first-hand the ravages of the armed conflict. In ideological terms, however, the decision diverted the party from the path of individualized neoliberal politics that Bukele embodies — a path that can only lead to the right. ? Nayib Bukele is heir to a wealthy Salvadoran family of Palestinian descent. His father was an unusually progressive business leader and intellectual who published several scientific works, as well as political commentaries on Salvadoran public affairs. Before entering politics, Bukele ran the family’s advertising agency. He also owns the national Yamaha motorcycle distributor, among other family companies. Rich as they are, the Bukeles are by no means members of El Salvador’s notorious oligarchy, which disdains the mayor as something of a new-money upstart. Unlike most FMLN candidates, Bukele did not rise through the ranks of local party structures. But in 2012, at the age of 31, he joined the party to run for mayor of the small San Salvador suburb of Nuevo Cuscatlán. Bukele secured the candidacy, and subsequently the mayorship, serving a three-year term. There, he built up his brand, painting municipal works his signature light blue — a stark distinction from the FMLN’s historic red — and astutely positioning himself in social media as the millennials’ mayor. In Nuevo Cuscatlán, the young millionaire grandly renounced his salary, donating it to finance local scholarships. In 2015, hoping to retake the capital city from the right-wing Nationalist Republican Alliance (ARENA) party, the FMLN chose Bukele as its mayoral candidate. He ran a sleek, well-financed campaign, saturating San Salvador with light blue and uniting his followers under the hashtag #TeamNayib. It was an unusually personalized race for the FMLN, which usually rallies its base around a collective party platform and a legacy of revolutionary struggle, rather than charismatic individuals. But the party wanted to oust the Right from city hall, and Bukele was particularly popular among an urban middle class increasingly skeptical of the FMLN — and indeed any political party — thanks in part to the success of an ongoing right-wing effort to promote a demobilizing, post-ideological discourse of disillusionment in the face of two consecutive FMLN presidential victories. Bukele’s anti-establishment tone dovetailed nicely with the brazenly corrupt opposition’s cynical anti-corruption rhetoric, allowing him to appear an outsider to the disaffected while still charming the FMLN’s base by attacking the Right. The calculous paid off, at least in the short term: Bukele won decisively, and his presence brought much-needed youthful energy to the party. As mayor, Bukele quickly made his mark on the city. His administration installed street lights across the entire municipal territory, an important public security initiative in a metropolitan area plagued by gang violence. He built a major new downtown market, replete with a public library and rooftop bars (not to mention a Burger King), and he withdrew restrictions around San Salvador’s iconic Salvador del Mundo monument, essentially turning the plaza into a skate and bike park for young capitalinos. Bukele is also renovating several major plazas in the city’s historic central district. In many ways, however, his administration maintained continuity with that of his right-wing predecessor. Always cozy with the private sector, Bukele embraced corporate sponsorship for municipal works. Where the previous ARENA mayor festooned the capital with Coca Cola Christmas decorations, Bukele’s holiday adornments are sponsored by the Guatemalan San Martin restaurant chain. Bukele is, in many ways, a monster of the FMLN’s own creation. To defeat him, and to ensure the continuity of its own revolutionary project, the party will have to cultivate radical new voices from within. Unsurprisingly, his relationship with the party soon soured. 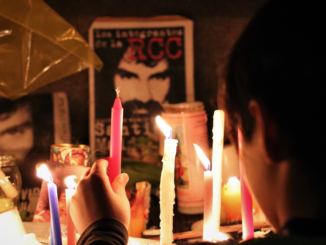 Bukele’s messianic personal style provoked tensions within an organization that prides itself on unity and discipline. As it became clear that he would not be the FMLN’s 2019 presidential candidate, Bukele increasingly distanced himself from the party, frequently lashing out at the leadership and executive government on social media. The episode that finally provoked his expulsion, in which he called an FMLN city councilwoman a “witch,” was fuel on a well-kindled fire. With the roster already closed for the March midterms, Bukele’s expulsion from the FMLN leaves him unable to run for a second term as mayor. But the ouster has freed him to pursue his higher aspirations full-time. As all forces prepare for the 2019 presidential election, the FMLN seeks to defend its control of the executive branch and with it, hard-fought gains in social investment, infrastructure, and democratic reforms. Meanwhile, right-wing elites are hoping to regain control of the presidency to resume ransacking public resources for personal gain and further entrench the neoliberal model that they had previously imposed over the course of decades of U.S.-backed rule. Bukele has now thrown his hat in the ring as an independent. But while Bukele claims to reject the political system, his politics are hardly innovative. He proposes no formal changes to El Salvador’s vastly unequal economy, ravaged by decades of free trade, privatization, and deregulation. He favors online campaigning over grassroots organizing, but he declines to use his formidable virtual platform — or army of internet trolls — to take a stand on a host of critical material issues facing poor and working class Salvadorans. In lieu of a platform, he rallies his base of “Nayilibers” (a play on the term for Justin Bieber fans) around his self-proclaimed ingenuity and integrity. 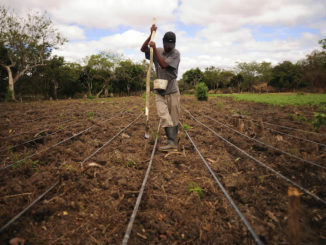 While the FMLN can claim to stand for protecting water from privatization or partially decriminalizing abortion, Bukele’s project is, essentially, himself. Behind the anti-establishment rhetoric and trademark backwards baseball cap, Bukele’s centrism and disdain for organizing places him squarely in the camp of the failing technocratic (neo)liberalism advanced by the U.S. Democratic Party, in which politics is not a struggle over resources and power between adversarial interests, but rather the domain of expert managers who, with the right tools, can resolve any crisis. In a country with a long tradition of organized political struggle, this tepid, individualized discourse is particularly toxic. On the electoral field, Bukele now joins fellow Salvadoran capitalists who, no longer content behind the scenes, are elbowing out the middlemen and jockeying to take the reins themselves. 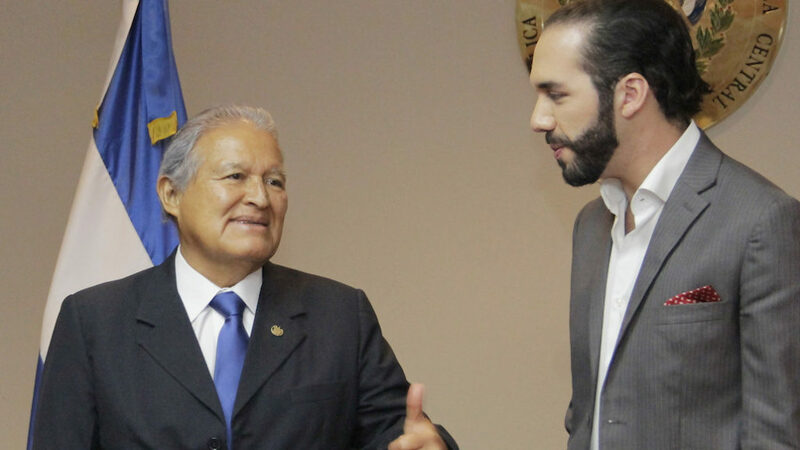 Both of ARENA’s top presidential contenders ranked in a recent report on El Salvador’s six richest men, as did Bukele himself. So far, neither ARENA’s oligarchs nor the black sheep Bukele have offered anything like a political platform, leaving voters to stake their preferences on photogenics. The FMLN’s likely presidential pick is Gerson Martínez, a former guerrilla commander who turned one of El Salvador’s most corrupt ministries under ARENA, the Ministry of Public Works, into a flagship of FMLN governance. Martínez is an honest public servant, but he belongs to the orthodox old guard of revolutionaries that Bukele hopes to leave in the dust. The upcoming votes will test the FMLN’s ability to counter the opposition’s reactionary onslaught with a progressive political proposal that appeals to those who might otherwise be seduced by Bukele’s media savvy. To do so, the party will have to find new strategies to engage the post-war generation. The current comandancia carefully stewarded the FMLN from combat into civilian life and through successive electoral victories under extraordinarily adverse conditions. But 25 years after the signing of the Peace Accords, these stalwarts have been reticent to cede the reins to younger militants. Bukele is, in many ways, a monster of the FMLN’s own creation. To defeat him, and to ensure the continuity of its own revolutionary project, the party will have to cultivate radical new voices from within. The 2019 elections in El Salvador are already proving a critical battleground, both for the region’s resurgent Right, and the embattled Left. Bukele’s presence in the elections only further shifts Salvadoran politics toward vacuous, personality-centered discourse and away from that of a collective, emancipatory project. Certainly, the serious problems of violence and inequity facing El Salvador demand dramatic, structural changes. But in a struggling country already named for one savior, Bukele’s one-man approach is unlikely save the day. Hilary Goodfriend is a writer and researcher based in San Salvador, El Salvador. She writes about empire, neoliberalism, and resistance. Copyright, Upside Down World. May not be reprinted without?permission. Save TPS for Central Americans and Haitians!